The Philippine government awards scholarship grants, not only for those who are pursuing formal education but also for those who would like to take technical-vocational education and training (TVET) under the Technical Education and Skills Development Authority (TESDA). 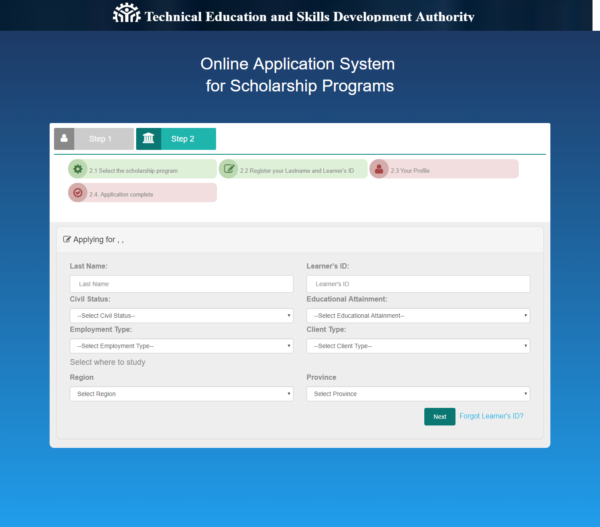 There are four types of available scholarship programs under TESDA. The Training for Work Scholarship Programs (TWSP) provides scholarship for those who are taking up training programs directly connected to existing jobs for immediate employment, both locally and overseas. The second scholarship program is the Private Education Student Financial Assistance or PESFA. It offers educational grants to qualified and deserving college freshmen, both in degree and non-degree course. The Special Training for Employment Program (STEP), meanwhile, provides skills training opportunities for the beneficiaries in the barangay communities to make them employable and productive. Lastly, the Universal Access to Quality Tertiary Education (UAQTEA) was established to provide adequate funding to provide all Filipinos with equal opportunity to quality tertiary education in both private and public education institutions. 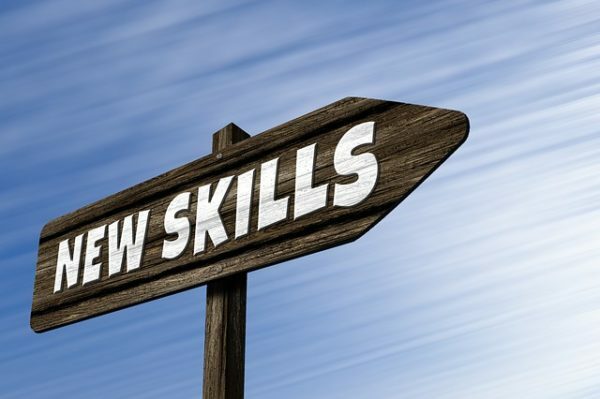 To qualify for a TESDA scholarship grant, the applicant must be at least 18 years old, at the time he or she finishes the training and can either be out-of-school-youths, TVET trainers, or industry workers obtaining skills upgrading training programs. More importantly, he or she must not be currently a beneficiary of other government educational scholarship and subsidy program. Scholarship applicants may apply online through https://t2mis.tesda.gov.ph/Barangay. 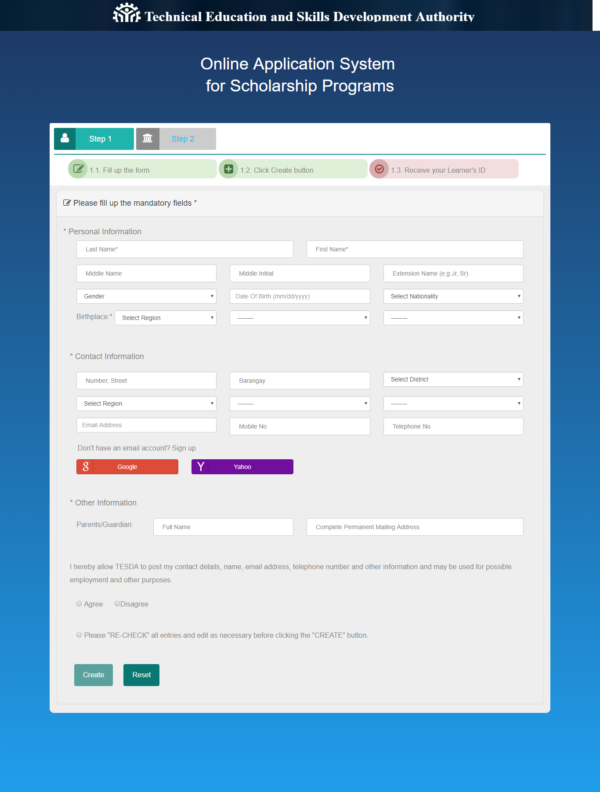 On the said page is an application form which the applicant needs to fill up with his or her personal information. After filling up the form, the system will create a Learner’s ID for the applicant. He or she must take note of this Learner’s ID. The next step of the online application process is the selection of a scholarship program. The system will ask the applicant for three courses which he or she would like to take. Afterward, the system will ask the applicant to register his or her last name, Learner’s ID, and other related information. 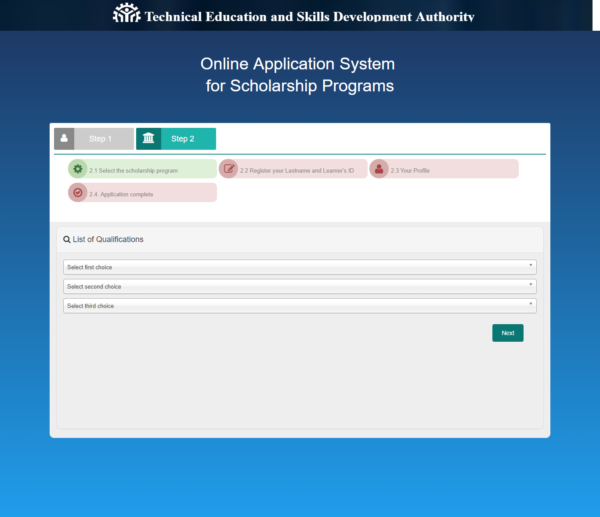 After completing all instructions in the system, the applicant will receive notifications from TESDA with regards to his or her scholarship application. For more information about scholarship programs and specific requirements for each, please visit TESDA’s website at www.tesda.gov.ph.